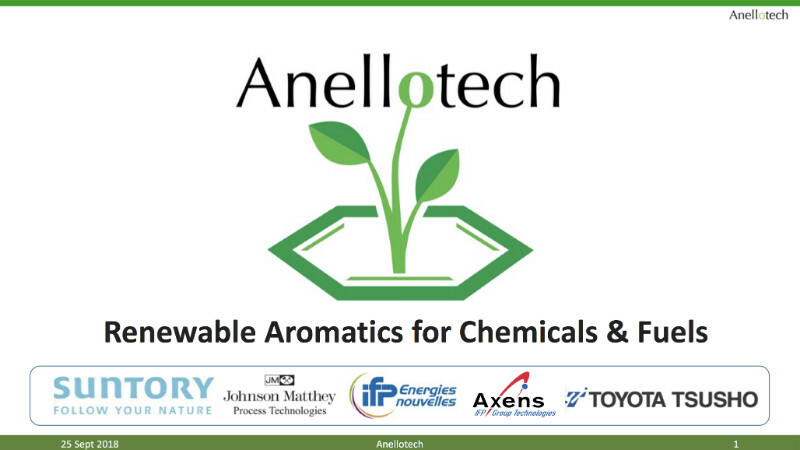 Founded in 2008, Anellotech has developed a clean technology platform for inexpensively producing bio-based chemicals from renewable non-food biomass. These drop-in, green versions of widely used petrochemicals; benzene, toluene and xylenes, are used to make plastics for consumer goods such as beverage bottles and packaging, clothing, carpeting, automotive parts, home and construction materials, electronic products, and a wide array of industrial products. From its Pearl River, New York, facility, once research is completed Anellotech will license its Catalytic Fast Pyrolysis process to industrial users around the world. Commercial scale applications are expected by 2019. Anellotech CEO David Sudolsky gave this illuminating overview of the technology’s progress and promise as part of The Early Stage webinar series.